In the final minutes of his life, the family of Arthur A. Glick opened and shared one of his most treasured bottles, a 2001 Chateau Lafite Rothschild. His daughter Emily brought the wine from the wine cellar he designed a dozen years ago in his North Buffalo home. His daughter used a sponge to wet his lips with the wine, and his friend Vinnie Davis offered a toast to a life well lived. "There wouldn’t be another special occasion to drink from his collection with him," said his wife of 26 years, Patricia Glick. A few minutes later, Mr. Glick, a financial adviser and supporter of several not-for-profit agencies, died after a three-year battle with cancer. He was 61. "Everything my dad did was larger than life, so this was the perfect sendoff," Emily Glick said. Mr. Glick, known as Archie, was the only son of Alvin and Margot (Victor) Glick and the younger brother of Pamela Glick. He graduated from Elmwood Franklin School in 1967, and Park School in 1975. He attended the University at Buffalo and the University of Arizona. Mr. Glick began his career in financial services at Prudential-Bache Securities in 1979, rising to the rank of senior vice president of investments. He moved to Legg Mason in 1999. While a senior vice president at Legg Mason, he counseled calm when the stock markets reopened after the terrorist attacks of Sept. 11, 2001. "History shows that the best reaction is to do nothing," Mr. Glick said at the time. "Knee-jerk reactions are generally a mistake." Mr. Glick became a founding member of the local office of Royal Bank of Canada Wealth Management in 2005. In the summer of 2018, he and his daughter Emily created the Glick Investment Group within RBC. He continued working, mostly from home, until he began receiving care from Hospice Buffalo about two weeks ago. He and Patricia Levy, who met because their parents were friends, married on Sept. 18, 1993, in Temple Beth Zion. Mr. Glick was passionate about collecting and drinking wine. In 2012, he had a bar built in his living room to match his wine cellar. His family said that his favorite thing about his wine collection was "the people that gathered to share it with him." 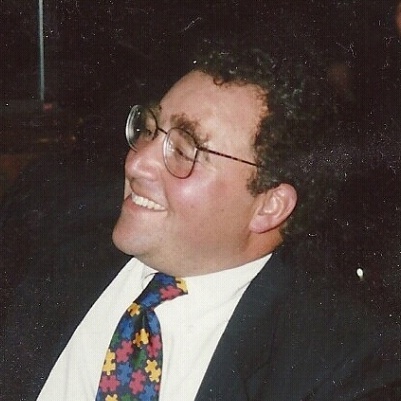 Mr. Glick was active in the community, both as a philanthropist and a board member of several not-for-profit agencies. From 2006 to 2008, he served as president of the Jewish Federation of Greater Buffalo. He served on the boards of Jewish Family Services, Elmwood Franklin School, the Buffalo Seminary and the Hauptmann-Woodward Medical Research Institute, and was on the faculty of the Saturn Club. An avid golfer, Mr. Glick scored a hole-in-one at the Cherry Hill Club in Fort Erie, Ont., and enjoyed traveling with his golf buddies to such places as Montego Bay, Jamaica. Besides his wife, Mr. Glick is survived by his daughters, Emily and Alexandra; his mother, Margot Glick; a sister, Pamela Glick; an aunt; four nephews; and several cousins. Funeral services will be held at 2 p.m. Wednesday in Temple Beth Zion, 805 Delaware Ave.